In 2010, Magda Zabala traveled from La Perla, a tiny community in the Northwest of Quito, to the Ecuadorian capital. The trip was about two and a half hours. There she went to a bank to acquire a loan. As a farmer, she needed a little credit to provide for her family until the next harvest. In a largely rural country like Ecuador, providing loans for farmers isn’t uncommon, and the creditor went about assessing Doña Zabala’s credit potential. SEE ALSO: Coffee & Colonialism: Why is Ecuadorian Coffee Selling Better Labelled as Italian? “Where is the farm located?” he asked. “In La Perla,” she responded. “And what do you cultivate there?” asked the banker. Perla Negra is proof that you don’t need the most high-tech equipment, just a commitment to quality. Communities like La Perla, which is one of many small coffee farms in the Northwest region of Quito, are a bit of a hidden gem. Coffee has been cultivated in Ecuador for generations, but only recently—in the past five years or so—has it been grown in the metropolitan district of Quito (otherwise known as Pichincha). Even now, many Quiteños aren’t aware that specialty coffee is being cultivated a short distance from their city, despite the fact that in the few short years of production the region has racked up numerous national prizes and even made a few international appearances in barista competitions. So if back in 2010, that banker wasn’t aware (despite being a person supposedly familiar with the agricultural tendencies of the country) that coffee was planted a short distance from his office, he might be forgiven; at that point there was only one farm with the stuff: Perla Negra. Magda Zabala and Olger Rogel arrived from Loja to La Perla in 1994. Although Loja has long been a coffee-producing region in Ecuador, the couple hadn’t worked with the plant before. Yet in La Perla, Orgel began working at an experimental coffee lab run by Nestlé and learned the ins and outs of managing the crop. Then in 2007, as coffee prices were rapidly heading north, they decided to take a risk and plant some of their own. They were the first farmers in the region to do so. From the beginning, quality was the priority. Instead of cultivating in the traditional style—lower quality, disease-resistant varieties, ad hoc fertilization and pest control, and disorganized processing—the family took the specialty coffee route, planting only quality varieties such as Bourbón, Tipica, and Caturra. They followed rigorous care schedules for their plants, and employed precise processing methods with an emphasis on traceability—individual lots, even of the same variety, were kept separate throughout the entire process. Lots are spread thin and kept separate. It’s little surprise, then, that soon after their plants had matured to the point of producing coffee, they entered and placed in the national cup competition. 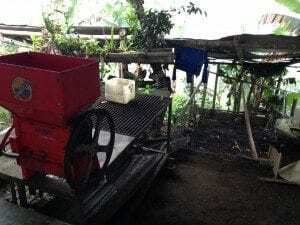 It’s also not surprising that their neighbors, after seeing the success of Perla Negra’s coffee—and the higher prices it attained—soon planted their own coffee. What is surprising is how much impact that change has brought to the little community. La Perla is small and somewhat isolated in the Northwest Region, but it’s also clean and healthy, thanks to coffee. Walking down the road you pass well-kept, well-built houses instead of the smoky, ramshackle huts that characterize some coffee-producing regions—and La Perla, before the arrival of coffee. With the higher income that coffee brings in, local people have been able to rapidly and completely transform their lives. All this was done independently, as the government has only recently taken an interest in the region and the commercial possibilities coffee presents. 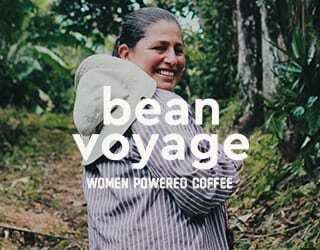 Indeed, Perla Negra’s biggest achievement is not its award-winning coffee. 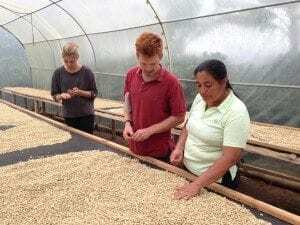 Rather, it’s introducing coffee to hundreds of families, proving that coffee is a viable option for local farmers, and demonstrating proper methods for the care and processing of coffee. 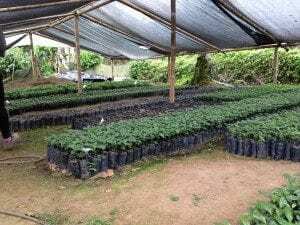 In fact, Olger and Magda run a nursery and distribute young plants throughout the region, so either directly or indirectly, all of the coffee plants being farmed in the Northwest Region can trace their origins back to Perla Negra. Still, it’s one thing to cultivate coffee; it’s another thing to cultivate a world-class reputation, which is the goal of Perla Negra and the region’s producers. You might expect that the very recent introduction of coffee production to the area would lead to growing pains. However, the couple has been able to turn the youth of this movement into an advantage. In historically coffee-producing regions it can be difficult to make the switch from engrained concepts and habits of tradition to the higher quality and traceability demanded by specialty coffee. in the Northwest Region of Quito, however, the blank slate status meant that sound practices have been the norm from day one. Coffee education is easier than coffee re-education. While Magda and Orgel’s attention is never far from the communities that they lead, as more producers emerge for newer farmers to go to for advice and support, they are now turning their focus back to their own coffee. Forming long-term, international partnerships to export your coffee is key to any producer’s success as a specialty coffee farmer, and Perla Negra is no exception. 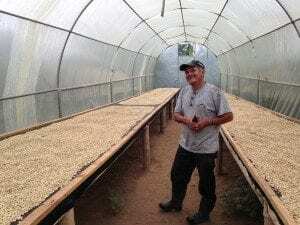 Still, the pair are also cognizant of their role in developing the nascent Ecuadorian coffee market and have invested themselves in supplying the local market as well. 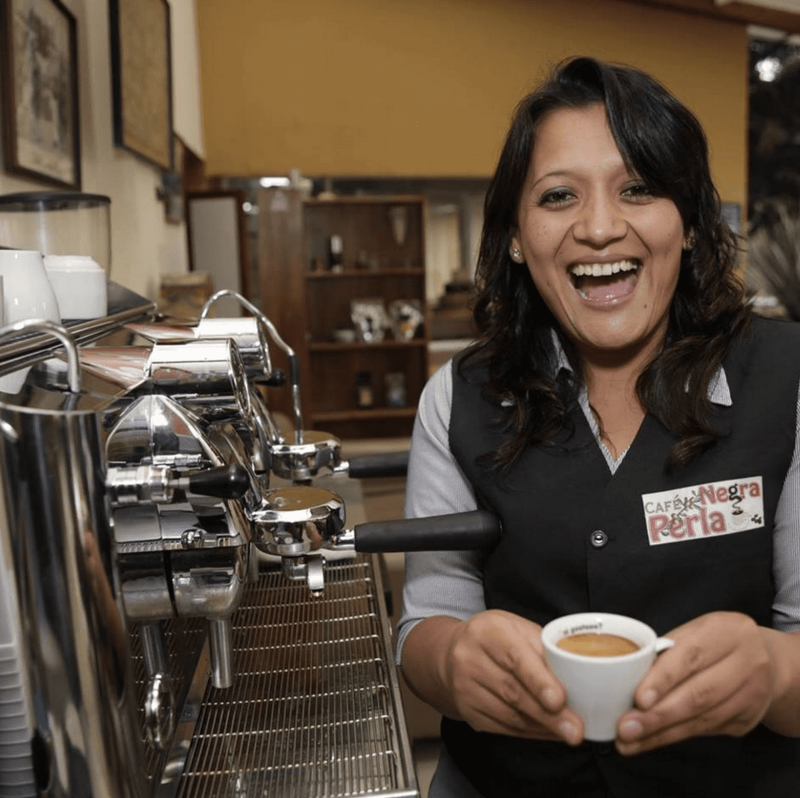 You can now find Perla Negra coffee in cafés around Quito. 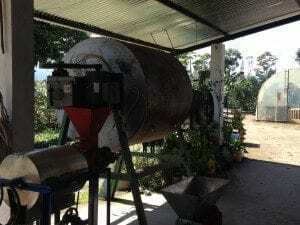 Some of it is roasted by veteran specialty roasters, such as Café Velez, but increasingly Orgel himself is roasting the coffee out on the farm. All of this is supported by their daughter, Lupe. As an experienced cupper, she helps evaluate the farm’s coffee from start to finish. As a barista, she makes use of her family’s coffee as when, for example, she placed third in the 2014 National Barista Championship of Ecuador. This total integration of the coffee process, from seed to cup, is only possible in a coffee producing country, and Perla Negra has taken full advantage of it. Don’t let the smile fool you—Lupe is a true competitor. Her espressos are plenty sweet though. These days, it’s difficult to imagine Magda Zabala sitting in that banker’s office, being told she must be mistaken about growing coffee in La Perla. Now the area is lush with the dark green leaves of coffee. As both farmers and cuppers have discovered, the climate, altitude, and soil are ideal for the plant. Furthermore, the government has noticed the success Perla Negra helped to foster and is stepping in to help promote the coffee with its Cafe de Quito initiative as well as assisting farmers with subsidies and technical support. And while Ecuadorian coffee still doesn’t have the international recognition of countries like Guatemala or Kenya, it is fast developing a reputation for its high-quality and unique varieties, like Cidra and SL-28. 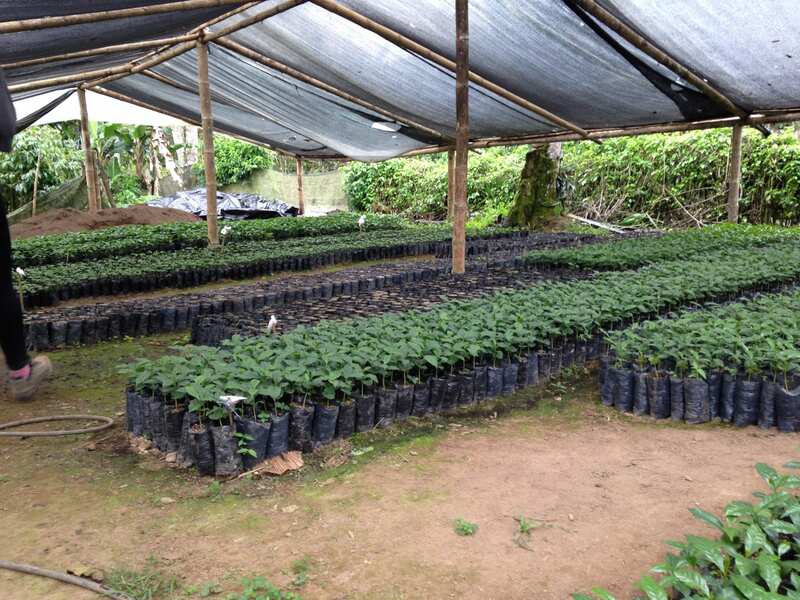 It’s doubtful that Orgel and Magda could have imagined how much Quiteñan coffee would grow when they planted those first seedlings back in 2007. Now, a short eight years later, other producers from the region are carrying the coffee to international fame. But Orgel and Magda will always have the satisfaction of knowing that they planted the first seed, right here in Perla Negra. Doña Zabala shows off this year’s harvest. Written by Z. Latimore and edited by T. Newton.